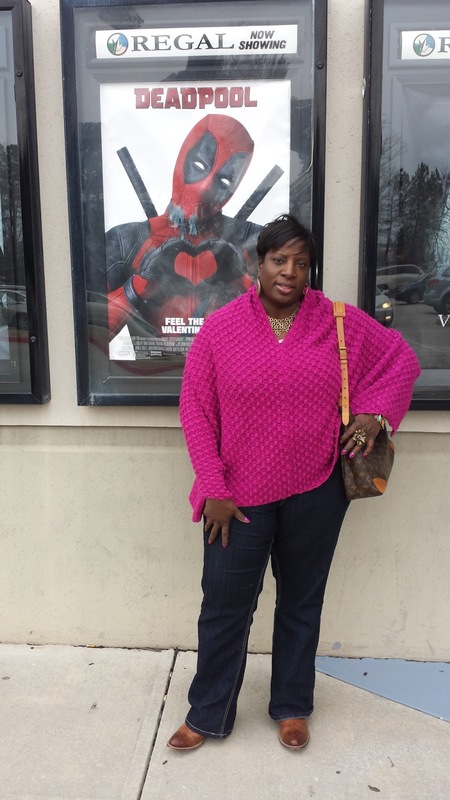 I am late posting this one, but I made the weekend premiere of the DEADPOOL movie back in February. I wore items scored at the Annual Boutique Warehouse Sale in my town. 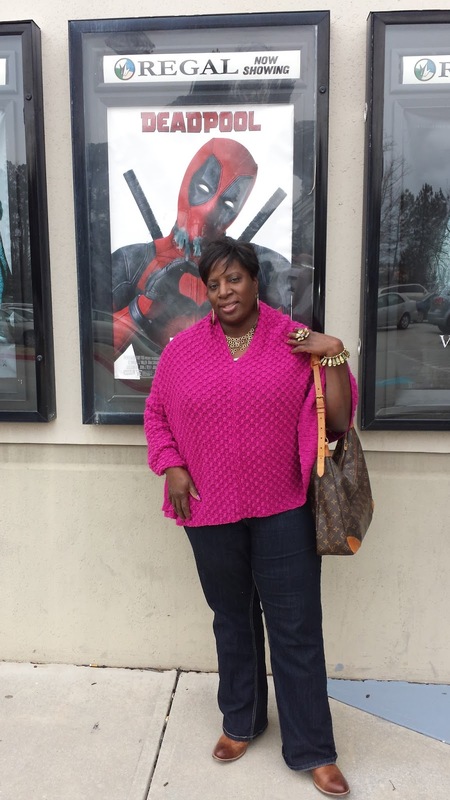 My shawl and boots were purchased at this year's sale for 90 % off retail price. My jeans were a thrift score from the Salvation Army thrift store .All the above was accessorized with my necklace from WEAR thrift store in Macon. I tried out Tradesy for the purse. I enjoyed DEADPOOL. The bonus was being dressed head to toe in super low priced items.